Science, Human Genome, DNA and Animal Fossils are Evidence for Human Origins by Creation of God Rather Than by Evolution - Genesis Alive! So God created him, in His own image He created them..
Order the noah code here and learn more! One of the most debated and published topics of our time, the notion of human evolution intrigues and captures the attention of all. If those in science working in this field catch the attention of the media, it could mean an instant ticket to fame and position, regardless of whether the findings are credible or not. Governments and institutions stand ready with millions in research funds to pursue these endeavors, but as we will see, little evidence exists. In fact, most all known so-called "ape-man" fossils can fit in a box that would slide under your coffee table! Skulls and skeletons are often reconstructed from a few bones or fragments, and body parts are even mixed with those from different dig sites to make a headline. Impressive drawings and animations of non-existent hopeful monsters spring forth from the screens to bring this fiction into reality for many. Pro-evolution headlines and absence of any followup retractions is a reality for these so-called "discoveries". The publicity history on this topic is dismal if not downright fraudulent. But what really is the evidence? We will continue to add content for you as time allows. Here is only one case in point regarding genetics - more to come! The Evolutionary Common Descent diagram, real only on the paper used to print it. Common descent (or ancestry, as it's sometimes called) is an inaccurate notion with no basis in science. So what has really been found? Though evolutionists flood the media with claimed findings, human evolution proofs remain elusive. Researchers dodge issues like the needed upright walking knee and hip anatomy, jaw structure (U-type for humans, V type for chimps), and other anatomic differences. Neanderthals have now been found in the same burial sites with modern humans (Homo Sapiens). Their appearance and history still remain in debate, but Neanderthal were in no way sub-human, as many of their features appear in Sapiens populations today. The Bible does speak of other distinctive races of beings, the Heroes of old in Genesis 6 and Goliath, etc.. (1) These may have perished under genetic load or climate change, we just don't know. We do know this: the Human Family Tree consists of only a Few Beings that are FULLY HUMAN and widely separated from the animal group of quadruped monkeys, apes, and orangutans that are 100% animals and not people. See new 2 min clip - SD That's a Fact - 2 Humans Are Unique! The Top row represents the fraud, Lower row actual for comparison. Humans share 55% of their genes with a banana, 60% with a fruit fly, 75% with a mouse and 80% with a cow! The genetic gulf between chimps and humans is wide and getting wider. Widely publicized claims of similarities are being carefully and systematically challenged from various research institutions. This would include the debunking of the notion of "junk" DNA, the assertion that humans did not come from a single couple and claims of closely related DNA (as above). There are over 20 gene sections distinct to humans and absent in chimps in their respective DNA. So when we look at the real differences, these "closely related" statements turn out to be baseless deception's where evolutionary "scientists" toss their professional credibility for personal gain and public notoriety. Humans share 55% of their DNA with a Bananna.. 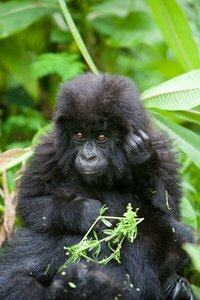 In the Article "Evaluating the human-chimp DNA myth" Jeffrey Tomkin's of Institute for Creation Research concludes; "One of the main problems with a comparative evolutionary analysis between human and chimp DNA is that some of the most critical DNA sequence is often omitted from the scope of the analysis. Another problem is that only similar DNA sequences are selected for analysis. As a result, estimates of similarity become biased towards the high side. An inflated level of overall DNA sequence similarity between humans and chimps is then reported to the general public, which obviously supports the case for human evolution. Since most people are not equipped to investigate the details of DNA analysis, the data remains unchallenged." (7) This work is an example of the tasks that think tanks like Institute for Creation Research (ICR), Creation Ministries International (CMI) and Discovery Institute perform, employing key scientists of various fields to dig deeper into the hard facts. All of this nonsense is little different than the Haeckel fraud, but unfortunately, just as convincing to youthful minds. Lucy turns out to be an Orangutan quadraped "tree dweller"
Lucy, the upright walker... almost. It should be noted that the celebrated 'Lucy' or "australopithecine" (unearthed by acclaimed Dr. Donald Johansson) was later found to have a human knee joint tossed in the collection box, exhumed from another site some distance away! (This admission took quite an effort and months of questioning by the skeptical to extract from Johansson, but the word was already out to the media!) In fact, Lucy was a "curved-appendage" tree climber with a chimp knee and hip, not an upright walker as widely publicized. Wikipedia shows its glaring bias, quote; "A biped, Lucy stood about three and a half feet tall, and added support to Raymond Dart's theory that australopithecines walked upright". (9) Really, a 'biped'? The article then contradicts itself, "her curved finger bones indicate that she was probably at home in the trees". Evolutionist S.J. Gould of Harvard admitted; "Most [hominid fossils, even though they serve as a basis for endless speculation and elaborate storytelling, are fragments of jaws and scraps of skulls". (12) In other words, they have the Lucy types, (monkeys) then Man. The media and textbooks never corrected the stories about Lucy's real relatives, Orangutans!10,11 Other chimp/man connections such as "Piltdown Man", "Peking Man", and "Java man" that have also been dismissed as hoaxes or mix-ups like Lucy. These were also refuted but remain as "proof of human evolution" in many textbooks today. At this late date, most of the scientific community of anthropologists are focusing on the gap between australopithecines and the modern group of humans, of either the Neanderthal or class of modern human populations. Monkeys and apes exhibit a crainal volume range 330-750cc, Humans 855-2200cc. On the human side it should be noted the range is anatomic, and not iQ relational. Science & Human Origins, Gauger, Axe and Luskin, Discovery Institute Press 2012. 124 pages Available in our bookstore. 2. 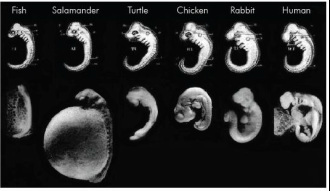 E. van Nikirk 2013 "The Haeckel fraud Proven"
6. https://groups.google.com/forum/#!topic/talk.origins/Jhrub3hASvU Human-Chimp Similarity: only 70%? 10. Oxnard, CE Nature 1975 The Place for australopithecines in Human evolution, grounds for doubt? 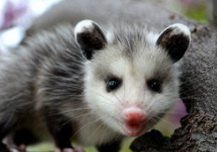 Press Warning: Evolutionists claim you descended from an Opossum! 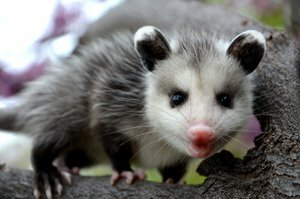 "Led by researchers from Harvard and MIT, a team of scientists sequenced the DNA of the gray South American short-tailed opossum — the first marsupial to have its genome sequenced. Marsupials are closely related to placental mammals, ﻿the group that includes humans,﻿ but their evolutionary lines diverged 180 million years ago during the dinosaur age". (1) The researchers did the 'science' of sequencing an opossum, but they took for granted the evolutionary dogma that teaches humans evolved through the Mouse/Opossum/Lemur/Monkey line supposedly 180 million years ago. Notice how the word "but" is used and ask yourself, "diverged from what?" What animal branched into humans and opossums? Interesting that in Oregon, (3) a fossil dig unearthed the three above (mouse/opossum/lemur) together but no chimps or man! No intermediates were found there nor at any other known fossil dig. They perished together in a catastrophe - and evolution is not evidenced. Did you notice (according to the article) that we are closely related to kangaroos? 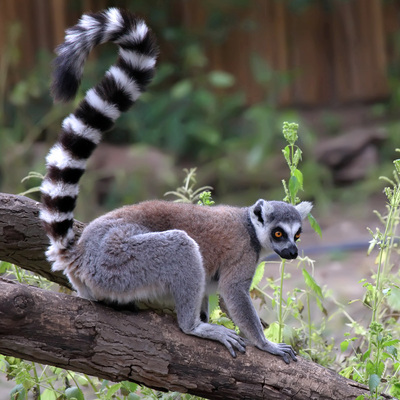 Compare the Lemur anatomy/physiology and behavior to Opossums. Very different. So where are all those in-between creatures? Only in the drawings! And where did they get that 180 million year number? Lots of clock time is needed to get from opossum to man - all assumptions of course! Evolutionary dogma makes a catchy story line, but no fossil intermediates exist to link these types, only drawings. Is common descent an honest picture for these four? Remember the DNA! These four are of "common descent", according to evolution. Do you see the similarities? All are air-breathing, warm-blooded mammals with a mouth, two eyes, two ears, and a nose - mammals by Phyla, distinct and individual by sub-class. Their offspring have never been witnessed to inter-transistion from one sub-class to another. In the case of the Opossum, they are marsupial, having pouched young. This anatomy is dramatically distinct from Lemurs, their supposed ancestor. (Not to mention dual reproduction organs in opossum males!) The notion of common descent is said to be determined from so-called "fossil evidence", but the textbooks are filled with nothing but drawings, bone fragments, presuppositions, and admitted story telling. In reality, these claims are completely unsubstantiated. One must believe what you see! 3. Oregon Fossils Orr&Orr 2009 p. 197 (found Lemurs, Opossum, Mice together in a single fossil "graveyard", buried is water deposited sediments, no intermediates, typical of fossil graveyards). 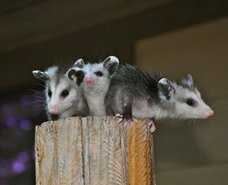 A opossum is a possum X 3! Now here's a line-up, but a peek in their diapers will show the boys have not one, but two reproduction parts. Their so-called evolutionary predecessors and successors have only one - the mouse (successor), next in line after the opossum, the lemur, then the monkey, and lastly, chimps. Maybe the Harvard and MIT scientists never looked to know the difference, but no explanation was provided for that extra anatomy nor loss either! Maybe these little guys are just monkeying around with the good doctors for the fun of it! In truth, Man is Man, and animals, animals. Both share some basic physical and physiological traits, but the gaps are wide, too wide for unguided processes to account for. If evolution is true, where are all the intermediates today, like hairless walking chimps? Why aren't there more "hopeful monster" types mutating among the Primates now? Its simple: monkeys are monkeys, and people are people. And always have been! Did you know that the population of the world could fit into a single county in Florida with 3 feet around each person? Also, if you added an additional 7,000 feet vertically to the Pentagon, you could give every person in the world a desk! Additionally, the entire population of earth could fit in New Zealand with the same amount of living space as many major cities! (1) In high school, I saw a video documentary of a study done by agricultural experts from the US of the Mekong River Delta in Vietnam. The result; if this area was properly cultivated by modern methods and means it could feed and clothe the World! In India, 200+ million cows (2) wander freely, consuming useful grass and grain because a religion prevents eating or controlling these animals. It's so bad that starvation and disease is devastating these wandering herds, but since some believe their relatives' spirits reside in the cattle, they would rather starve than eat or fence them in. The list goes on... The more we study the resources of our planet, it becomes clear: there's plenty of space and food for all of us and many more if we used our resources wisely. For example, in a small humble laboratory and a few acres of test plots, scientist Norman Borlaug determined how to multiply the wheat production of the world, (referred to as the "Green Revolution") saving untold millions of lives from starvation. He was no cynic - he had positive solutions! What else can be accomplished with the right attitude, goals and leadership? Rather than encouraging mothers-to-be to give up and turn to abortion, perhaps we can reach out and help them. How do we know if another Norman Borlaug has already been lost to this end? Evolution teaches biological complexity can be explained away with time..
Evolution's real God - the mindless clock. Who is yours? Evolution's hopeful dependency on mutations (accidents) cannot explain where life and carefully designed physiological characteristics originated. Their answer always comes down to time. They say enough time will accomplish all this - So time is their magical God! When presented with staggeringly complex design, overwhelming order and breathtaking beauty, where can the believer in evolution turn? The odds are not looking good and the evidence for gradualism dwindling. They declare.."Anything can happen if you give it enough time!". But time has no substance in itself. Is evolution a scientific answer based on evidence and laboratory tests, or a belief system based on a faith? The faith that this all just happened with enough mindless time? This is a faith in nothingness, different than faith in a thinking, Intelligent Designer. Evolution's faith is this: That absolutely no outside intelligence is involved in anything that exists in the Universe. And more personal, teaches that people are a Mutation, the result of accident's! That is most definitely a lie! 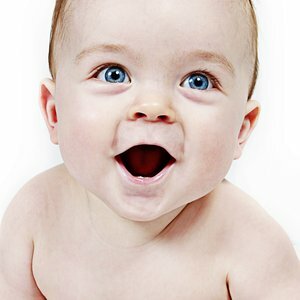 Another idea of Origins - a Creator that Cares for you! There must be a better answer than a cold, uncaring universe. 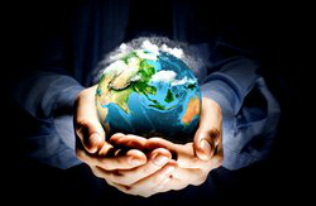 We believe that God does exist, and He cares for all mankind! He's not a cold, uncaring clock-maker, but is the Creator of the Universe! In the Bible, He calls Himself the "I AM" (existing outside of the constraints of time), and says that He knows you personally and sees you reading these words right now! Take the time to search this Higher Intelligence out. He cares for you! Regardless of what origins belief system you currently embrace, it's our hope you would ponder these facts and more on this site. We have attempted to show evidence supporting a world-view that may be completely new to you, but as a common fellow in this journey, I found these truths reliable and the Intelligence behind them desiring to connect with you! God Bless you and thank you for your time. "May you be successful in your quest for truth" (The late Dr. Collin Patterson, to author, 1991).